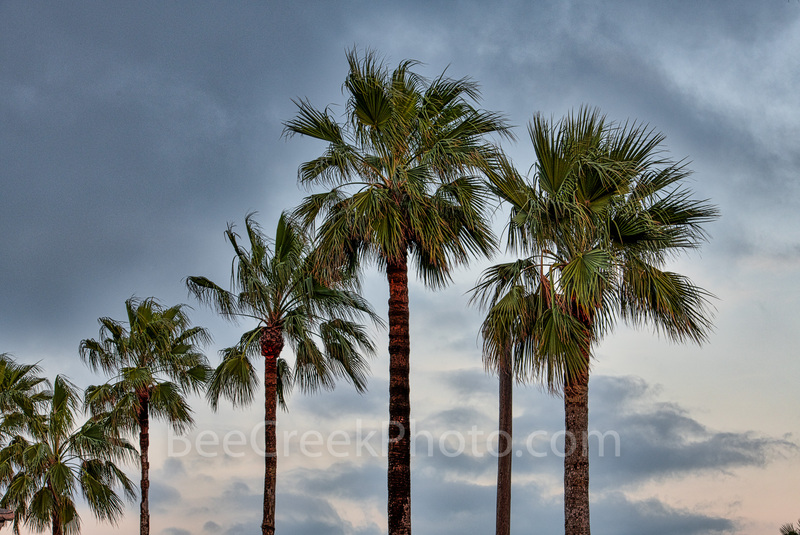 Coastal Palm Trees - Moody Skies with these coastal palms trees along the Gulf. Palm trees along southern US are a great thing to see anytime. I am not sure if these are Queen Palms but they are a great site to see. When I would come to the valley I would alway know that I was there because of these tall beautiful palms everywhere. Photo © copyright by Bee Creek Photography - Tod Grubbs / Cynthia Hestand.